Nail the utility trend with this blazer dress. 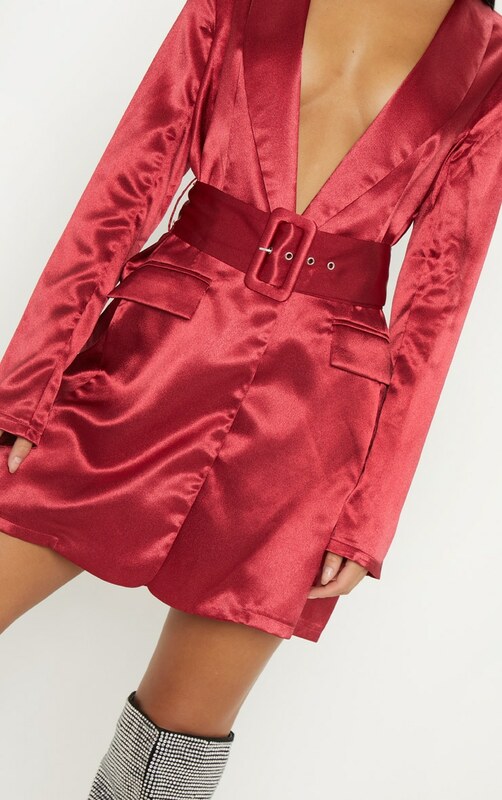 Featuring a dark red satin fabric, pocket detailing and a belted design. We love this teamed with over the knee boots for an outfit that's full of attitude.